Main Menu There are 25 products. Cod Bites and Chips - Main Dishes - Plaice in the Sun British Fish & Chips Takeaway Playa BlancaTakeaway Food Lanzarote.Delivery Available for Playa Blanca, Femes, YaizaFood Delivery Service - Lanzarote. Saveloy (Sausage) and Chips - Main Dishes - Plaice in the Sun British Fish & Chips Takeaway Playa BlancaTakeaway Food Lanzarote.Delivery Available for Playa Blanca, Femes, YaizaFood Delivery Service - Lanzarote. Jumbo Battered Sausage & Chips Main Dishes - Plaice in the Sun British Fish & Chips Takeaway Playa BlancaTakeaway Food Lanzarote.Delivery Available for Playa Blanca, Femes, YaizaFood Delivery Service - Lanzarote. Battered Burger and Chips - Main Dishes - Plaice in the Sun British Fish & Chips Takeaway Playa BlancaTakeaway Food Lanzarote.Delivery Available for Playa Blanca, Femes, YaizaFood Delivery Service - Lanzarote. Zinger Chicken Burger and Chips - Main Dishes Plaice in the Sun British Fish & Chips Takeaway Playa BlancaTakeaway Food Lanzarote.Delivery Available for Playa Blanca, Femes, YaizaFood Delivery Service - Lanzarote. 1/2 Spit Roast Chicken and Chips. Main Dishes - Plaice in the Sun British Fish & Chips Takeaway Playa BlancaTakeaway Food Lanzarote.Delivery Available for Playa Blanca, Femes, YaizaFood Delivery Service - Lanzarote. Whole Spit Roast Chicken (NO CHIPS). Plaice in the Sun British Fish & Chips Takeaway Playa BlancaTakeaway Food Lanzarote.Delivery Available for Playa Blanca, Femes, YaizaFood Delivery Service - Lanzarote. Pukka Pie (Beef & Onion) & Chips . Plaice in the Sun - Playa Blanca, Lanzarote Takeaway Playa Blanca - Takeaway Food Delivery Lanzarote.Delivery Available for Playa Blanca, Femes, YaizaFood Delivery Service - Lanzarote. Pukka Pie (Chicken Balti ) & Chips - Plaice in the Sun Lanzarote British Fish & Chips - Playa Blanca, Pick Up & Food Delivery Takeaway. 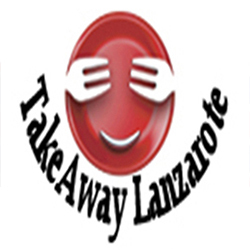 Free Takeaway Delivery lanzarote, Lanzarote. Pizza, Kebab, chinese, sushi, indian Takeaways. Fast Delivery to your Door.